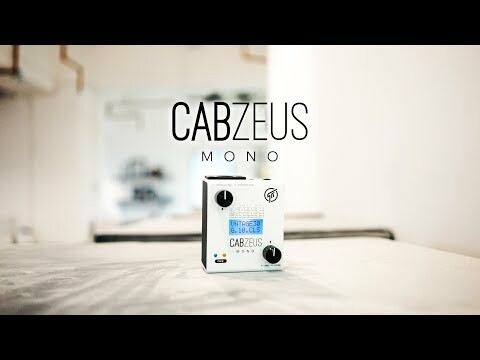 Cabzeus MONO is a compact yet powerful speaker simulator + DI.Box pedal. It was developed as a single channel version of its stereo big brother, Cabzeus. You can connect a wide range of input sources, ranging from your favorite stompboxes, preamps, your head amp’s speaker out, to any music player (see Application Ideas). Its stereo balanced outputs are capable of driving long cables straight to mixing console or FOH speakers. These outputs are tolerant to phantom power, they will not be damaged by accidental application of phantom power.